Biochar is one of the most useful soil additives you can use, and while you can add it any time of year (like compost), autumn is a great time to do it before your trees go to sleep in winter, to boost the organic matter in your soil and provide more habitat to help your soil microbes survive over winter. What is biochar, we hear you ask, and why should we care? 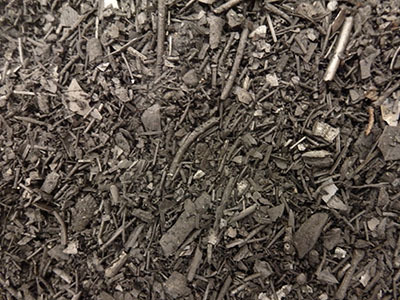 Basically, biochar is just charcoal produced in a special way from plant matter and stored in the soil. It’s brilliant for the soil and your fruit trees (we’ll tell you why in a minute), but one of the best things about it in these times of climate change is that it’s a stable, long-term way of taking CO2 out of the air, and putting it back in the soil, where it belongs. It’s not much to look, as you can see – it just looks like charcoal. Making biochar is one of those skills (like making compost tea) that can seem a bit fiddly at the beginning, but once you know what you’re doing and you’ve got a system in place it’s a fantastic way of providing your own top-notch soil amendments, basically for free. After all, it’s been produced for thousands of years (you might have heard of the amazing terra preta highly fertile soils that were created in the Amazon basin through use of biochar), well before modern technology was available, so it can’t be that complicated! So, why is it good for fruit trees? The main benefit is that it increases soil fertility, primarily by increasing the amount of organic carbon stored in the soil. 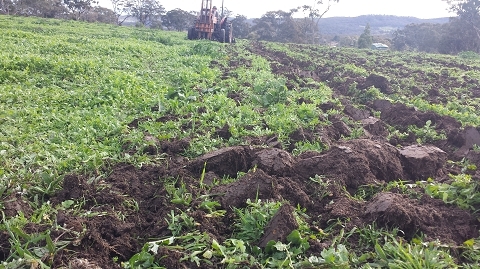 But there’s also lots of evidence now that biochar also provides a perfect habitat for soil microbes and stimulates their activity, making your soil much more biologically active. It also improves cation exchange capacity, which is a measure of the availability of the nutrients in your soil. You can turn ordinary biochar into “superchar” by innoculating it with things like compost tea, worm tea and microbe food, as Lann demonstrated at the workshop. This charges the biochar with both microbes and microbe food before you put it in the soil, reducing the time it takes for it to start working its magic. it helps nutrients stay in the soil rather than leach out. If you want to find out more about the microbes that will move into the biochar “hotel” you provide by adding biochar to your soil, and exactly how vital they are to your soil health, take our Soil Biology and the Soil Food Web short course. Thanks to John Sanderson and Lann Falconer, both Environmental Engineers for Earth Systems, for their fantastic biochar knowledge and workshops. Read our detailed blog about their workshop here. Apart from all the fruits that are grown commercially in the orchards on our farm, we also have a pretty big garden, with a wide variety of fruit and nut trees, including 8 almonds (2 each of 4 different varieties) under net. We’re big fans of nut trees in gardens, particularly if you’re trying to build a permaculture (which stands for “permanent agriculture”) system. We’ve written about them before here and you can find out more about how to create a permaculture system here. You can tell when they’re ripe because the husks open up, as you can see above, exposing the shell underneath (and the almond nut is inside the shell). This week we started picking them, because some of them had started opening up. The other indication they’re ready is that some are on the ground, but we don’t want too many on the ground because in past years we’ve found they’re a pain to find in the grass, because we usually let it grow quite long underneath the almond trees. Long grass under the trees can hamper the harvest! This year we learned from previous year’s pain, and cut the grass a few weeks before harvest, which made the process much easier! After we’ve picked, we remove the husks before we store the nuts, and then we shell them as we need them through the year as they stay much fresher in the shell. Now that the trees are mature, 8 trees supply us with enough nuts for eating all year, plus we grind some into meal and use them in cooking as well. Normally we pick the whole crop together, but this year we’ve kept the different varieties separate, and will attempt to identify them. As you can see from the photos of the first 3 varieties we’ve picked, they’re all quite different. Variety 1 has a very papery shell (which suggests it might be Canadian Papershell). We planted pollinisers together, so variety 2 must be either Ne Plus Ultra, Mission or IXL. Ne Plus Ultra has very large kernels, and as you can see from the photo (the sunnies are there to give a size comparison between varieties), #2 is much smaller than #1, so that rules out Ne Plus Ultra. It’s more likely to be Mission, which yields relatively small kernels. Other options include Johnsons Prolific or IXL.